Welcome to Islesblogger, my first attempt at blogging on a specific interest, as opposed to random thoughts on life and current events that you may find on my personal blog. Islesblogger was started back in August of 2007 and is a charter member of the New York Islanders Blog Box! When the New York Islanders introduced the “Blog Box” back in June 2007, I did not think that I would have the time or energy to maintain a site that I felt would keep people coming back. After some serious consideration, I started designing what would be the first version of Islesblogger. Web design is one of my hobbies and I am a bit of a technology junkie, so once I got my hands dirty – everything else fell into place from there. My basic idea is to provide the reader with my thoughts on the Islanders, commenting on the strengths and weaknesses of certain player transactions, or simply the latest talk around the organization. As time allows, I also do live blogging from the Coliseum and during away games from the comfort of my living room. My name is Michael Schuerlein and I grew up in Bethpage, NY. I have played hockey for a majority of my life – and continue to play in several roller and ice hockey leagues throughout the year. I am not entirely new to the blog scene; I am currently a Photographer and Contributing Writer for two automotive websites, www.truckblog.com and www.musclecarblog.com, and I have also been published in several automotive magazines. I am also the Digital Media Manager for Motorz TV, posting articles, running contests and everything related to social media! I was an Isles Season ticket holder for six years, and have been a fan of the Isles my entire life. I love to read about the latest Islanders news and rumors, part of the inspiration for creating this website. Despite my involvement with the automotive websites, I am not a professional journalist – I am just an Air Conditioning Mechanic who happens to enjoy writing and photography. The automotive stuff was a hobby that grew into something I never thought it would – much as Islesblogger has become in it’s own respect. Within days of creating this site in Mid-August 2007, I was notified by the Islanders that my website had been selected as 1 of 12 to become a charter member of their Blog Box. It really was an exciting moment, but it was one of many! In February 2008, myself and several of the other bloggers brought you live updates from the Coliseum on trade deadline day. We were able to provide trade information as it happened and were able to interview the Coach and the General Manager along side the media and one on one. Our “story” was also covered by Newsday’s Jim Baumbach, who spent the day with us blogging himself. In June 2008, Tom Liodice and I made the trip up to Ottawa, Canada to cover the 2008 NHL Entry Draft with Media Credentials in hand. It was a huge step for the Blog Box, because we were essentially “on the road” covering the team. Our adventure was captured both on Newyorkislanders.com and on Islanders TV during that weekend. In July 2008, the Islanders asked Tom Liodice and I to attend one of the many open houses to interview 2008 1st round draft pick Josh Bailey and veteran Doug Weight in front of a packed audience. The experience was once again up front and center on Newyorkislanders.com and on Islanders TV. In June 2009, myself and several other bloggers made the trip to the NHL Entry Draft in Montreal, covering the monumental selection of John Tavares first overall, live from the draft floor. We all had the chance to interview a handful of fresh Islanders prospects. Again, in June 2010 – I attended the NHL Entry Draft, this time by myself in Los Angeles. It was a trip to remember, having interviewed a few players, including the Islanders 5th overall pick Nino Niederreiter. Opening weekend, in September 2011, I was asked by CapitalOne to sit on a panel of judges including Islanders alumni Benoit Hogue to judge a high five contest. That was a bit of a different experience for sure, but it was fun! I’ve been covering the team regularly since, including this current shortened 2013 season, and will likely attend the 2013 NHL Entry Draft this year as it is located in New Jersey. 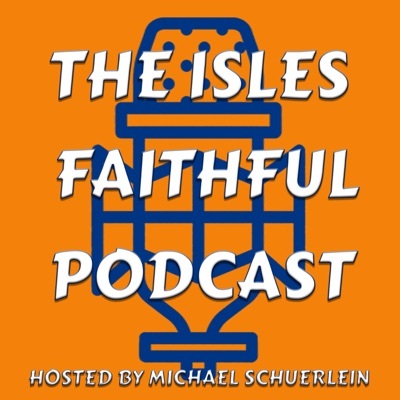 Thanks for checking out Islesblogger!